The path is way marked and well defined, with a few small ascents and descents on route. There is a picnic bench and interpretation boards near the car park and a viewing point with a bench on route. 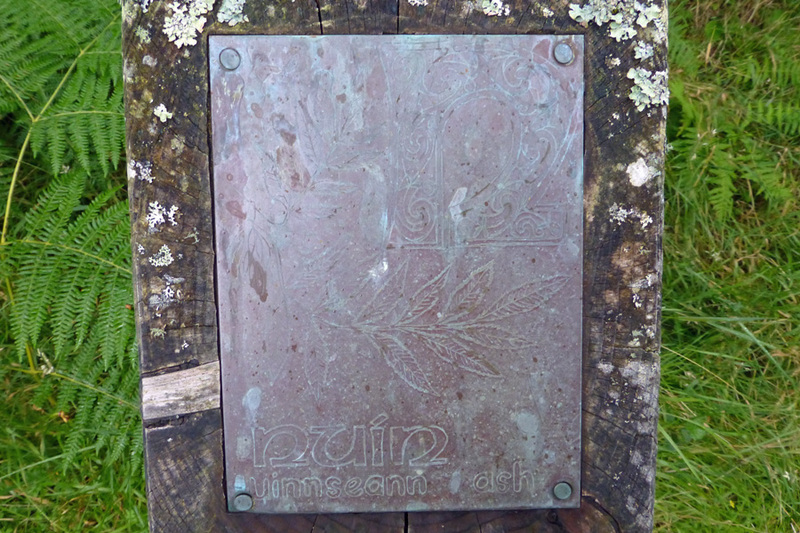 The walk can be extended by crossing the A861 and joining the Alphabet Trail (sign-posted). 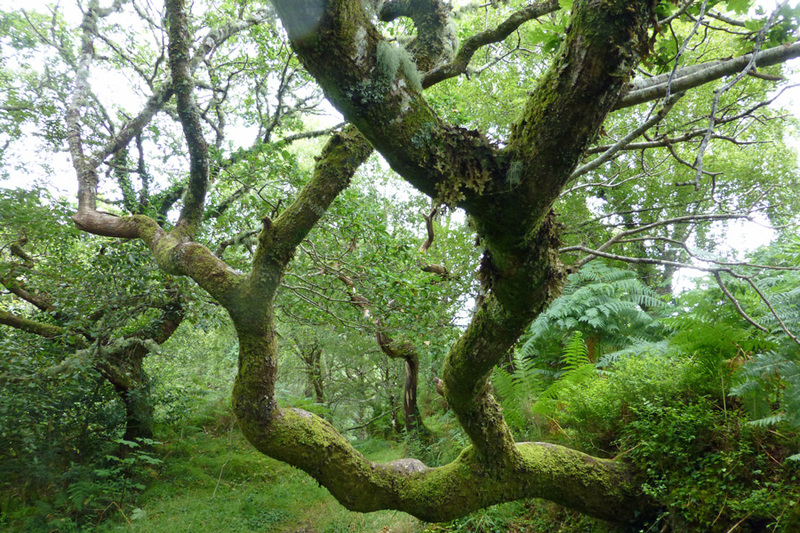 The walk provides a good opportunity to explore the mixed ground flora and the rich bryophytic and lichen communities associated with the oceanic deciduous woodland. 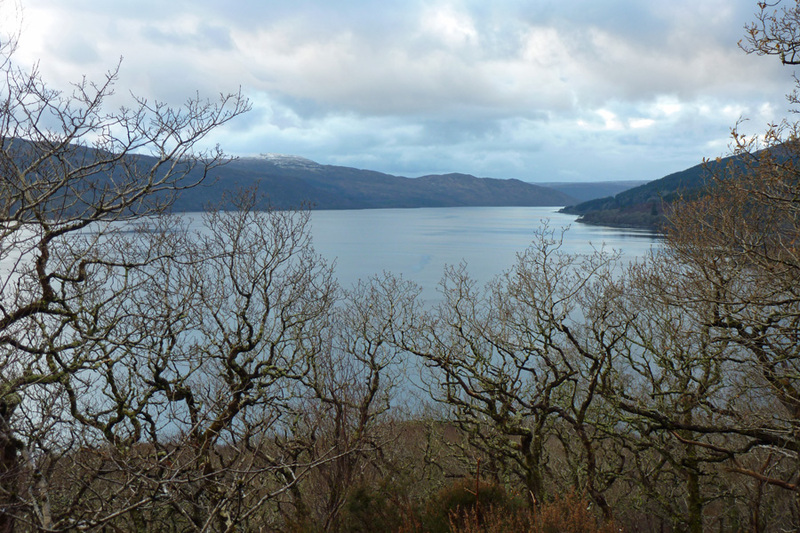 Look out for a range of woodland birds, including woodcock, as well as coastal birds and otters along the shores of Loch Sunart. 1. Park at the lay by/car park, on the south east side of the A861, just south of Salen. 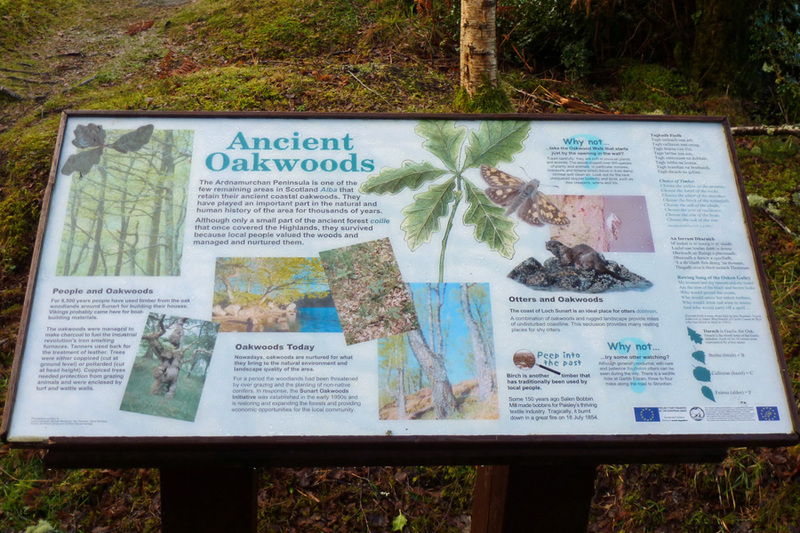 There is an interpretation board describing the diversity and importance of the Atlantic Oakwood and a picnic bench at the start of the walk. 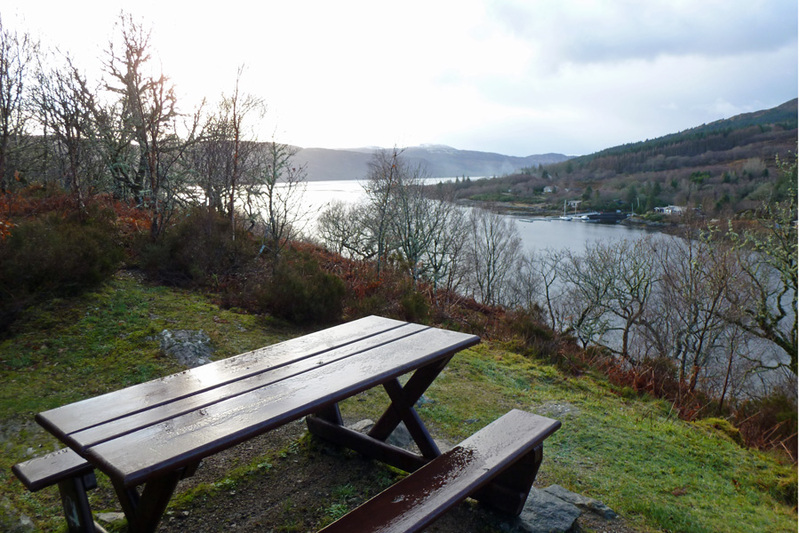 The picnic bench affords lovely views of Salen Bay and Loch Sunart on a fine day. 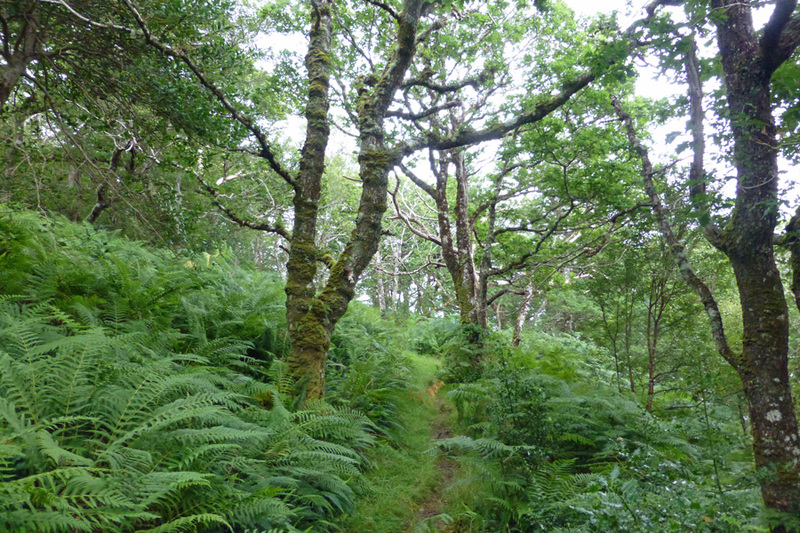 The route gradually descends and follows the coast through this lovely section of mixed Atlantic oak woodland, following the marker posts on a well defined gravel/stone path. 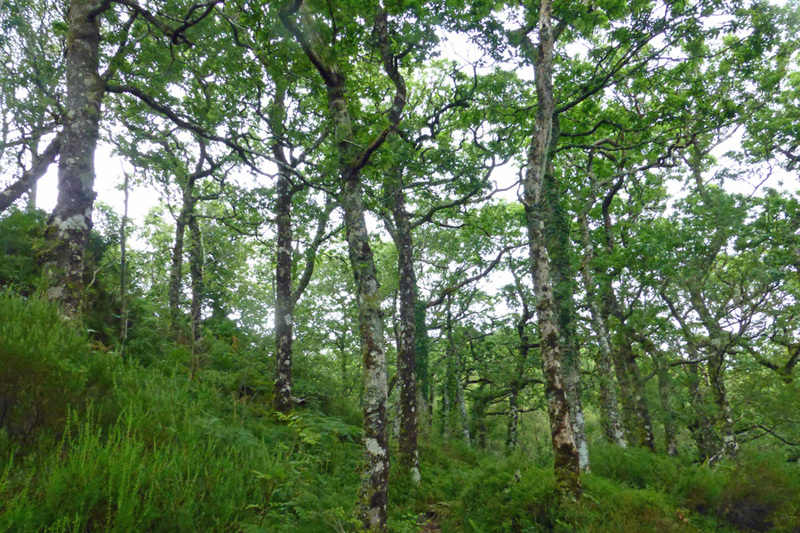 The ground flora is particularly well developed consisting of Callluna-Vaccinum assemblages, with an abundance of ferns, including hard fern, Blechnum spicant. 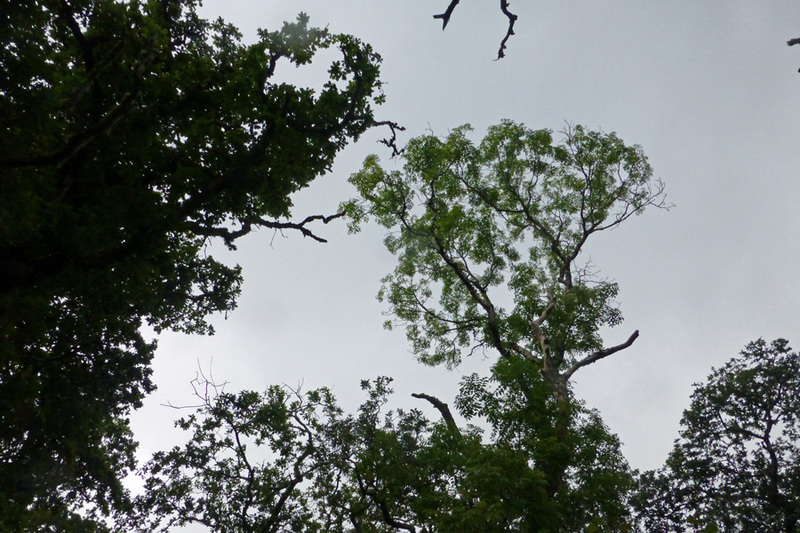 The trees are strewn with epiphytic ferns, bryophytes and lichens. 2. 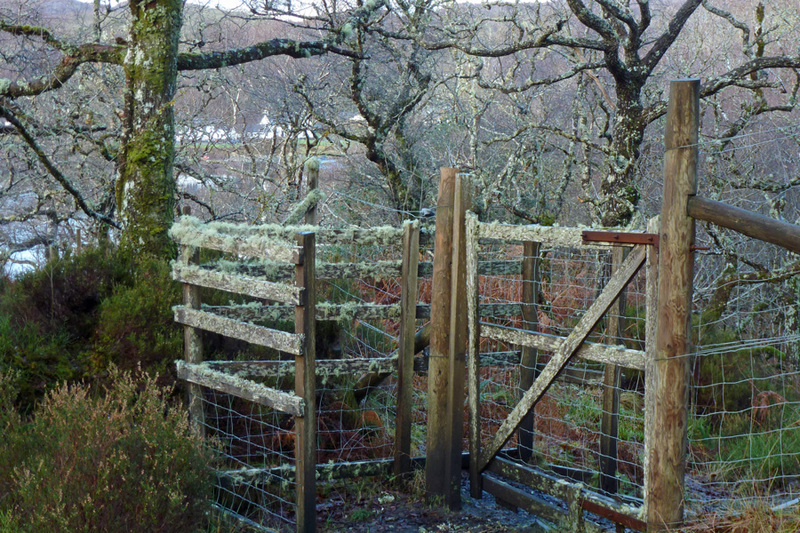 Go through a gate, and then keep left where the path diverges to ascend a small hill. 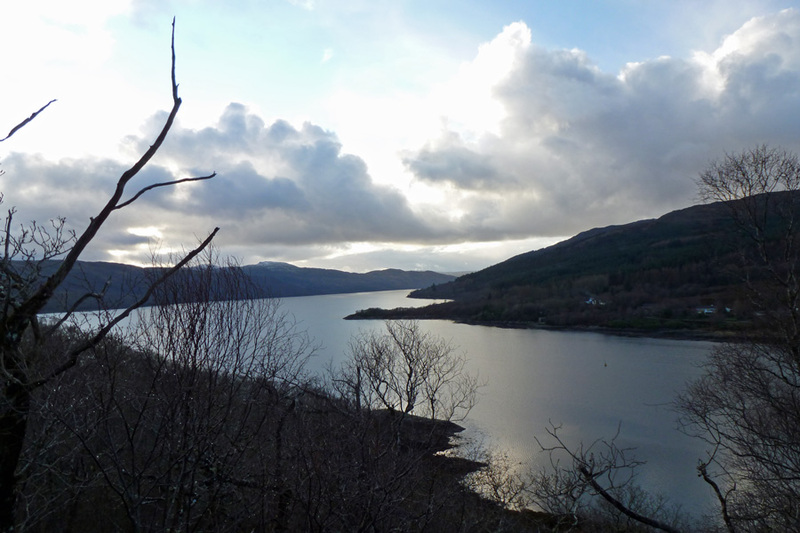 The route then descends providing good views of Loch Sunart through the trees. 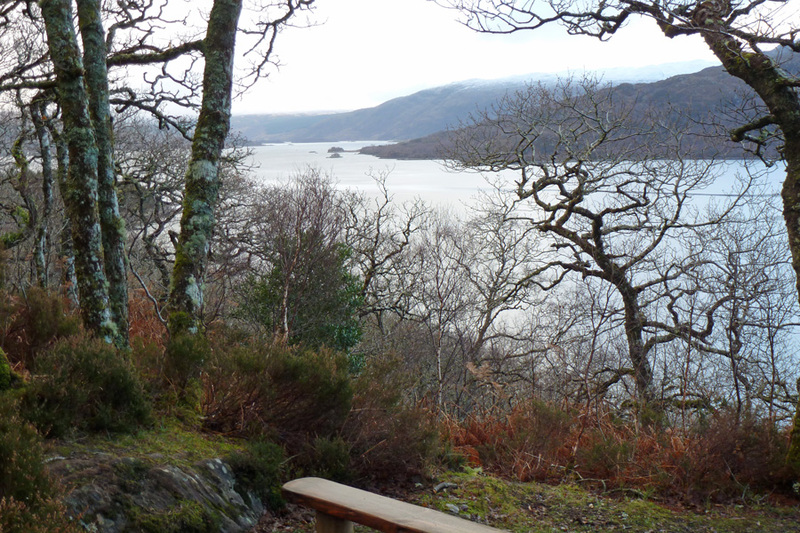 There is a lovely bench and viewpoint where the path turns back towards Salen. Continue straight on and back to the gate. 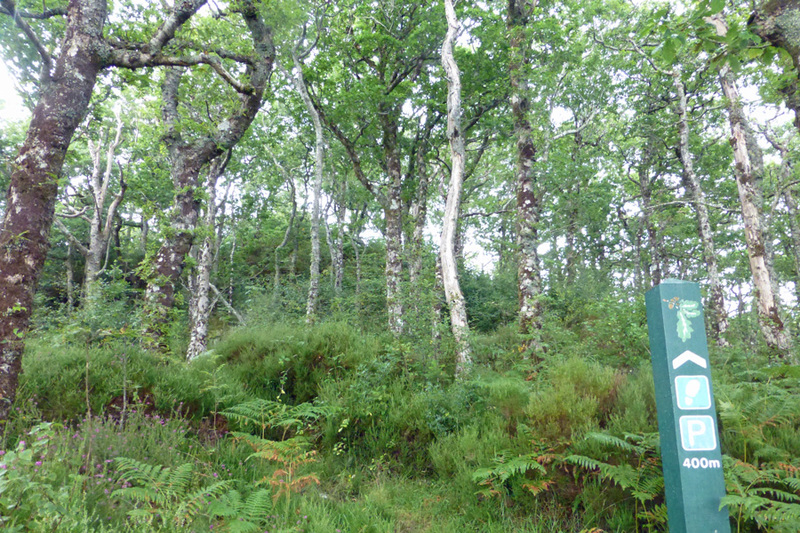 Along the route, marker post indicate the trees associated with the Gaelic alphabet; each of its eighteen letters is associated with a particular species of tree. 3. Return by the same route to the car park. 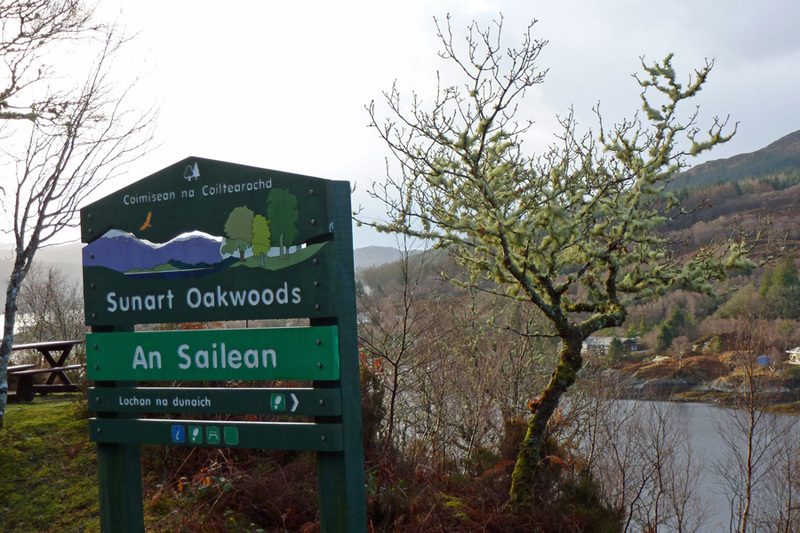 The walk can be extended by crossing the A861 and joining the Alphabet Trail (sign-posted). 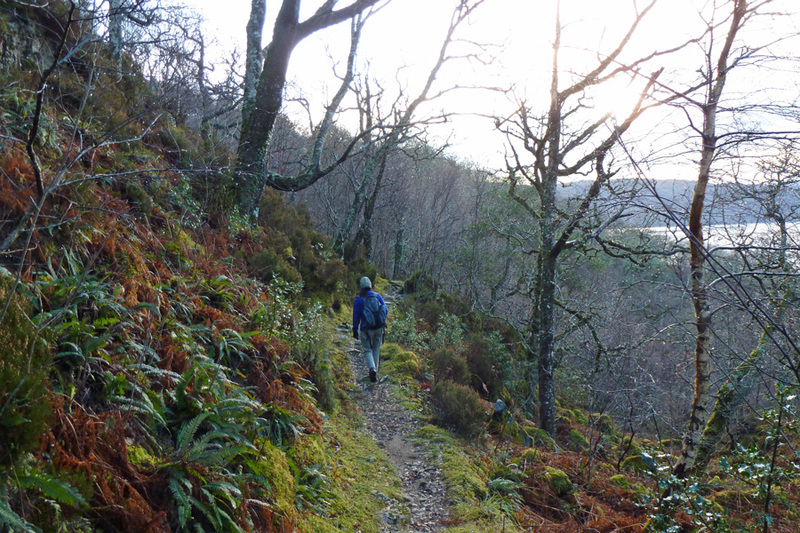 The path leads to the lochan, turn left and loop around the lochan. 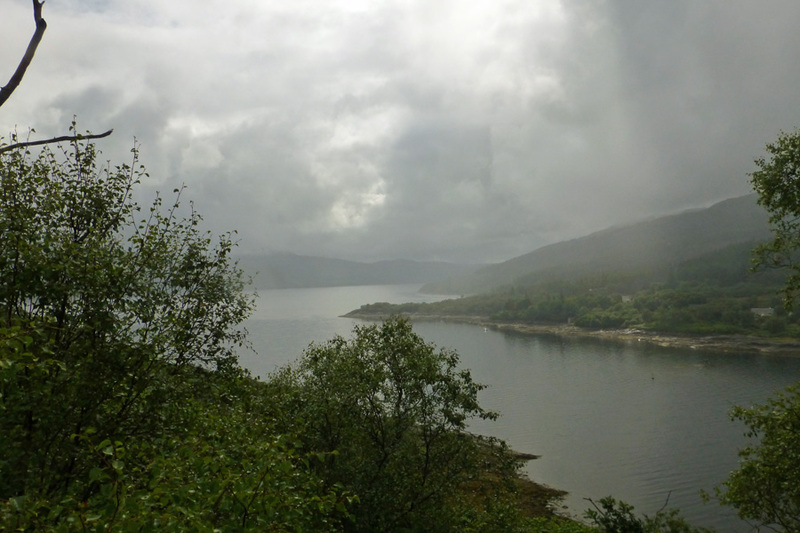 From the lochan, follow the route as described for the Alphabet Trail. 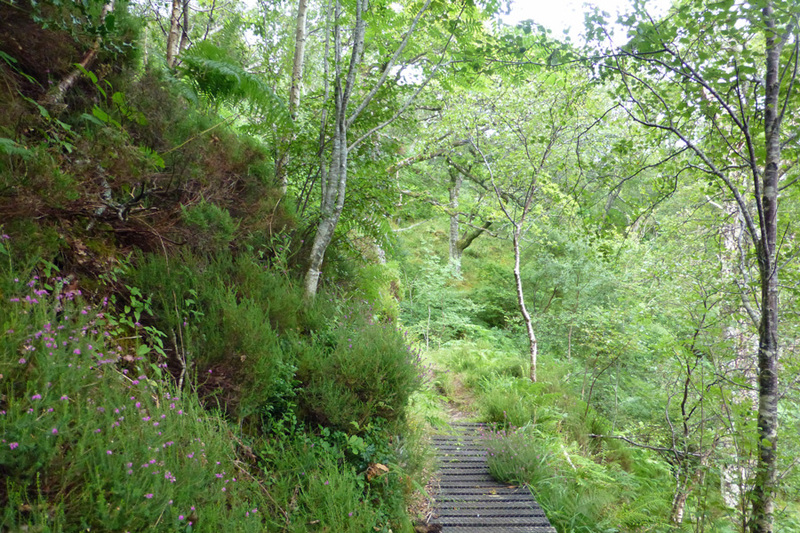 You can either return by the same path or walk on towards the picnic table and interpretation boards.